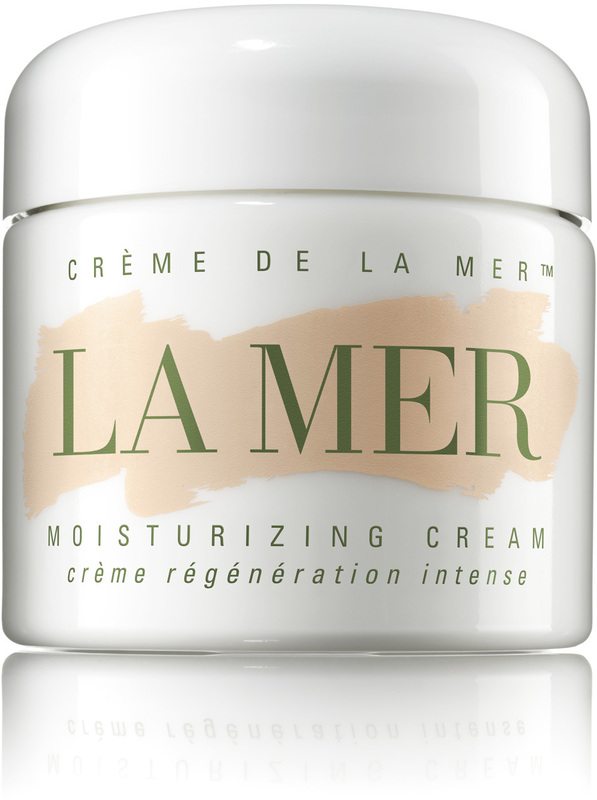 La Mer Crème de la Mer is an ultra-rich moisturising cream that improves firmness, restores radiance and reduces the appearance of lines, wrinkles and pores. It contains La Mer's signature Miracle Broth, a nutrient-rich formula made up of sea kelp, calcium, magnesium, potassium, iron, lecithin, vitamins C, E and B12, and citrus, eucalyptus, wheat germ, alfalfa and sunflower oils. To use, warm cream between the fingers for a few seconds until it becomes translucent, then press gently into the skin. Apply day and night. Man I have heard some weird crazy arse things about this cream. The creator Max huber was a astrophysicist and used to have a spoon full of this stuff everyday, when I say spoonful, not only did he use it, he ate it. Then there's also the story of estee lauder channelling a psychic to talk to him and not to mention how they play a soundtrack of bubbling noises to ferment the miracle broth. I nabbed myself a sample of this stuff and here are my thoughts. It doesn't seem like much till you put it on and realise how 'oily' it is. A little bit goes a long way and it gives you long lasting hydration. It goes on really thick, but settles once you rub it in. I also feel like it has a very 80s vibe, from the packaging to the fragrance, it reminds me of those old timey floral perfumes but nevertheless feels very lux. That said, it is a well known fact the cream is really not that expensive to make, the pricetag is just to add prestige. Many have said that it is just nivea with seaweed extract or very expensive vaseline. To this I have to agree, while it is a very nice cream, I feel I can get the same results with much cheaper creams. Perhaps if one day, estee lauder decide to bring the price down, I'll buy it but for $2000 for 500ml, I'll pass thanks. I was lucky enough to get a sample pot of this when I purchased the eye cream. I was doubtful about such a ridiculously expensive moisturiser, with no claims other than the mysterious and dubiously named 'miracle broth'. The sales assistant advised me to get a little between my fingers and rub together before patting it on the face. It's annoying to have to use it on your fingers first, fir such an expensive product you'd want every bit on your face. But I did as told and patted it on my skin. It's a very very thick cream so I only needed a tiny amount, which some may think justifies the price. I applied this before bed and it was still tacky when I went to bed but when I woke up the next day my skin was so soft and smooth. I didn't see any other results though, with regular and continued use. The jar packaging is terrible, I don't like dipping my fingers into creams, and think the ingredients will degrade with the constant exposure to air. For such an expensive product I would want all aspects to be perfect. The packaging is also so plain and looks outdated. This is a nice rich cream, but I really don't think it's worth the hype or the money.  Crème de la Mer comes in a heavy white coloured glass jar with a white coloured metal lid. The colour scheme and the logo also seems very early 90’s but I guess that is so that people can recognise it. When you remove the lid and the plastic divider you are met with a thick white cream the scent is pleasant but I cannot find a word to actually describe what it smells like but it definitely is luxe. The cream itself it thick in consistency but you only need a small amount and when you warm it up it goes a long way and though it is so thick it does not feel thick or greasy on my skin, it feels light and deeply moisturising. As soon as you apply it you can feel that this is a quality product and you feel that your skin is smoother straight away. At the time I started to use this cream I had badly flaking nose skin which healed over two nights. With continued use I feel that it helps heal my skin faster when I have blemishes and my skin feels plumper overall and has a lovely glow. Unfortunately since this cream is out of my price range I will not be buying this again (my current package is a lux sample size) but if it was more affordable I definitely would. Only use a small amount and if you need more add more cream later, a little goes a long way. I received a 15ml sample of this and I was very excited to have the opportunity to try it, as it is way out of my normal price range. That's a sample worth $125! The sheer luxury of it made me want to love it. And I do like it, I really do. I'm not sure how I feel about the texture, as I would rather not rub product between my fingertips before I spread it onto my face. Who needs super-soft fingertips? And for the price tag I'd rather not be dipping my fingers into a tub. But. The product is lovely, wasn't irritating and has done better than most order moisturisers at keeping my desert-like dryness at bay. There is no way I could justify buying it, but if you can, you should. I got a free sample of this after I had a long coversation about the origins of La Mer products. I followed the beauty advisor's advice and used sparingly amounts of this cream daily. I was so impressed at now thick the creme is yet so light and absorbable when applied lwould use the cream at night and wake up with a supple bright complexion. Over a few weeks I noticed previous shadowing from acne scars fade away. A truely remarkable product! Only use a small amount and warm up between your hands and pat into the skin. This is a pricey cream, but you only use a small amount so the jar will last you a while. I have been using it for a few weeks now and am loving it. Ask for a sample at your local DJ's. This is the best cream in the world. I got it as a gift one year ago. Just after one use the next morning my face felt amazing, and much smoother! Lovely smell, non-greasy, and soaks in well. The price is very high but if you want to look after your skin properly, you won't regret your purchase. La Mer is the moisturiser by which I measure all other moisturisers, it is my gold standard. Let's start with the jar. It looks pleasant, slightly clinical, maybe even slightly dated and then you pick the jar up and it is weighty, luxe. I like the packaging it is iconic and looks lovely on my dressing table. Then you open the jar, the smell is beautiful, hard to define but lovely. Finally you feel the cream thick, rich, hydrating and healing. Looking at the instant results in the mirror your skin looks plumper, hydrated, all those fine dehydration lines simply disappear. Over time the skin seems to re-densify which is a rare quality for a moisturiser. The benefits are cumlative, the more you use it, the more youthful and resilient your skin becomes. I also found my redness and sensitivities reduce when I am using it regularly. It is beautiful under makeup. I find I have no need of a primer when I apply this just before my foundation. It is suitable as a day and night cream. However, a separate SPF is required in the daytime. I prefer this. I mainly use it in the evenings or when I am going out somewhere special under my makeup. The only reason I ever stop using it is the price. It is worth every penny but sometimes there are insufficient funds, which is sad. It is simply the best, perfection. Warm the cream between your fingers and press into your face. It seems to know where your skin needs it most. Avoid the delicate eye area, as it is probably too rich but include your neck and I use any left on my fingers on the backs of my hands. Normal to very dry skins, just adjust the amount you use. Science meets beauty - NASA style! As the story goes, this nifty little product was invented by a NASA scientist as a treatment for his chemical burn scars. The special ingredient being fermented sea algae. Does it work wonders as promoted? Well actually it does! This cream came with special application instructions of warming it first in your hands and applying by pressing into the skin, it's texture is thick and creamy and it has a strong, clean, soap-like fragrance. It absorbed nicely with just a hint of residue that I found to be a really nice base for makeup. The first day using this cream my skin felt extra soft and completely hydrated, after a week I noticed more even skin tone and got several comments that I was 'glowing' I also noticed that with continued use my breakouts were reduced and cleared faster, the sensitive areas around my nose were no longer red and overall texture and appearance of my skin was greatly improved. I was so impressed that I went on to invest in the eye cream. The product packaging is very simple and no frills, no fancy silver paper or elaborate box - all the magic is inside the jar. Comes at a price but when compared to other high end skin creams it's not excessively overpriced, and you do get visible results for your money. All in all, I would have to say this is an indulgent treat that makes your skin look and feel amazing, a polished result from a plainly packaged cream. Those who can afford the price tag will get great results from this cream. It's suitable for all skin types except those with active acne (would be great for healing the skin once acne is treated), an excellent treatment cream for inflamed and sensitive skins as it is rich and soothing with intensive healing properties. Look at this cream as an efficient investment and all round pick me up for your skin. LUX BEYOND WORDS....BUT IS IT WORTH THE PRICETAG ??? I have had two jars of this in my life,and had to earn them both (once when i went OS and got it cheaper duty free in Europe and once when i passed a major exam for my career and gained some more letters after my name..after a hell of a long time and massive migraines from study and putting forward medical findings,i reckoned i had more than earn't it).I was expecting nothing short of miracles to be honest...and i was sorely disappointed.Yes,it feels luxurious,yes,it leaves your skin lushly soft,yes moisture levels are increased and yes,the jar is one damn impressive sight on my dresser...but it is comparable to many other creams you can buy from the supermarket (Nivea cream,Palmer's Cocoa butter cream,and a few L'oreal creams) at less than a tenth of the cost of La Mer.Yes,i know the whole story of how La Mer came to be (a scientist suffered chemical burns and discovered this by accident after he found the products he was trialling fixed his burns and erradicated scaring ) and that the science,the hand made/hand poured regime to manufacture this, the fact that it takes months for this to be produced,plus the lux feeling jar (it's not "pretty" per se, just heavy weighted) is what brings the cost to what we know,but seriously,i did not notice anything i wouldn't get with many other skin creams.The texture is lusher than lush,but if rich is not something you like,then you'll feel suffocated under the weight of this (the gel formula may be more you).With that in mind,this would be a more night time / winter weight product for all but the driest of skins.So,in short,yes i like this cream,but seriously,if you aren't rolling in cash (or just earn't a degree) save the cash and get a jar of Palmers. Use the spatula included to keep the cream a little purer and wait before applying your makeup...it will slip if you don't. I have used this cream for a number of years but currently am using something else due to its hefty price tag. I love love love this moisturiser and have purchased it in 30ml and 60ml jars. The jar itself is a ceramic/glassy kind of jar and the cream comes with a tiny spoon. I never used the spoon, preferring to use clean fingers. The texture of the cream is very much like Nivea cream, the one that comes in the blue tin. It even smells quite similar. I take a pea sized piece and warm it up between my fingers before spreading on the face. It feels thick, but I love thick creams. There has been a lot of controversy about this cream and its price but I'm a firm believer it's worth every penny. Skin becomes dewy and soft and for some strange reason, it just makes my skin glow. I would give it 5 stars if it wasn't for the HUGE price for skin cream. If I had lots and lots of money, this would be the only cream I would purchase. I have combination skin and it works great on my skin. This heals my dry skin which is exacerbated by seasonal changes. I rotate this with my other moisturisers, depending on how my skin feels. It has a light perfume which is very pleasant. 4 Stars. Only because of the price! Ekk! You fork out a ton of money and you receive this tiny little container of what looks like ordinary moisturising cream. This product has actually worked miracles for me. I religiously apply this to my pimple scars. Over months, the dark spots fade away. It really renews the skin, smoothing and hydrating it. I don't use it as a regular moisturiser because it's too expensive. I was lucky that my mum gave me one so it costed me nothing. If I had a lot of money to spare, I would not hesitate to purchase this product again. It works but at a cost! I love La Mer. All their products are worth the price. However, I do find that this cream is too heavy for me and gave me some pimples. I have stopped and switched to the gel version which I am loving at the moment. Recommended to those with dry skin condition. My sister purchased this creme and was generous enough to give me some to trial. This white cream is quite thick in consistency and great in that it can be used on the delicate eye area. I generally prefer lighter lotions or creams which are moistersing enough for my normal skin so did find this a bit too rich and just a tad greasy. Consequently I mainly used this as an eye cream which is nice and moisterising, but therefore can't comment on how effective this is for fine lines/wrinkles/pores (and because I don't have many). I have also heard that this cream might cause breakouts for some people due to its rich consistency (it did for my sister even though she has dry skin) so it might not be for everyone. I believe it would be most suited to those with normal to dry/very dry skin as well as mature skin. Also, this cream might work better if it isn't used daily and perhaps during the colder winter months when the skin is more dehydrated. For the expensive price, if it can't be used daily without causing breakouts, I don't recommend splurging your money on this cream. This is really quite a thick cream but it's also very hydrating for my super dry skin. It has a nice powdery sort of smell which is very mild and pleasant. I did have a small breakout a few days after use due to the richness of the cream but that settled down and my skin is looking really great and feels really soft. Expensive but a quality product. Plus, a celeb makeup artist's tip on keeping makeup fresh. What’s the most you’ve spent on beauty? Our pick of the greatest beauty offers and promotions of the week. The supermodel spills her beauty bag.